Recently in an online forum, a former Navy flight instructor recounted teaching his pilots about maintaining a disciplined focus while flying their aircrafts. “It’s relatively easy,” he said, “to develop” what he calls “spatial disorientation.” In other words, the loss of intense focus could result in the pilots flying upside down and not even know it. And if you were to do a quick Google search, you can read reports of pilots who met unfortunate death because they were “upside down” and never knew it. 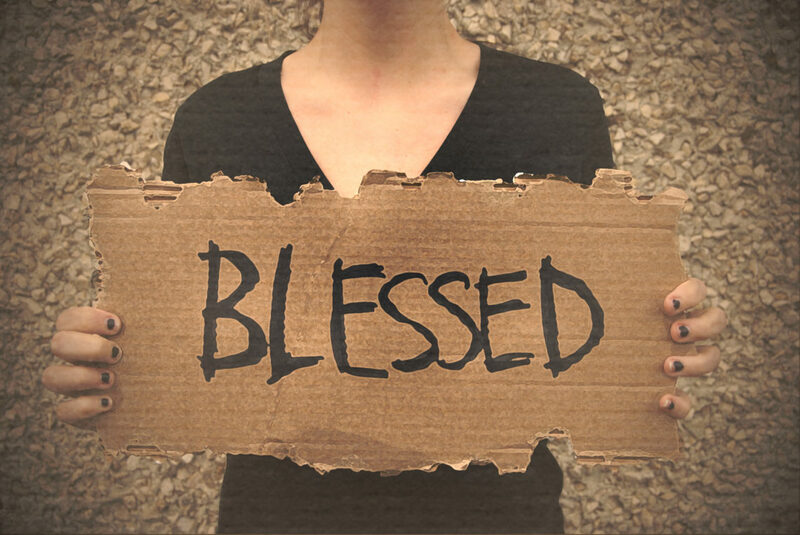 This week we are beginning a new sermon called “Blessed: Finding the Good Life.” It’s based on the first of Jesus’ teachings in what is known as the Sermon on the Mount, a group of eight sayings known as “The Beatitudes,” or words of blessing. And we get the sense that these beatitudes are Jesus’ effort to lead us out of potential spiritual disorientation and into true victorious, Kingdom living. Would you read with me? The other day I sent my mom a text message asking if she had made it safely home. She had left our beach house earlier that day and I was surprised that she hadn’t called yet. She quickly responded and said, “Well, we missed our exit and it’s pushed our arrival back a few hours.” I came to find out later that mom had pulled a fast one on me and was completely joking and was still on the right course, but it was a good reminder that it’s easy to miss our signs. We all know that interstate zombie feeling. You set the cruise, get into deep thought, and before you know it, every town looks the same and you end up missing the all-important landmark. Well, there’s something similar happening to the crowd that day when Jesus begins to teach. There’s something about the crowd that has become “zombie-like,” or “normalized” and it catches Jesus’ attention. He’s called a group of people to be his disciples, which simply means he’s called them to believe, to follow and to obey him. 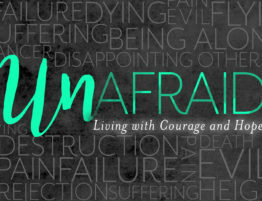 They’ve been invited into a new way of life, a different way of life, but even in the early stages of that new discipleship life, there’s a dangerous expectancy, a dangerous normalcy settling in. And this is important for us to hear. As Jesus heals and ministers, everything around him begins to grow. His fame grows, the crowd increases, and people are receiving miraculous healings. Every indicator of success is on an upward trajectory. But yet Jesus’ response is telling. Instead of celebrating, instead of continuing what has been wildly successful, he begins to walk up the mountain, leaving the crowd behind, and inviting the disciples to follow him. Now, Jesus never says this, but I believe Jesus’ motivation is to protect these young disciples from spiritual disorientation, which is very real. In a similar story from the Gospel of John, Jesus makes the sobering statement that the crowds are growing, but not because they want Jesus, but because they want what offers. It’s Jesus who is our biggest need, not what Jesus gives us. So could it be that Jesus doesn’t want the disciples to falsely attribute “blessedness” to the wild success they’ve just witnessed? Could it be that Jesus wants the disciples to know that life doesn’t always look like this, and in order to be a disciple, you have to learn to navigate this world differently? Could it be that Jesus is trying to shield his disciples from flying the plane upside down? The great devotional writer Oswald Chambers writes, “This is how the Holy Spirit works in the heart of a disciple. The teaching of Jesus Christ comes with astonishing discomfort to begin with, because it is out of all proportion to our natural way of looking at things, but Jesus puts in a new sense of proportion, and slowly we form our way of walking and our conversation on the line of His precepts.” This is the goal Jesus has when he gives us the beatitudes. At the heart of this passage is Jesus’ concern with how we perceive God’s favor and God’s activity. Quite simply, this is what he means by the Kingdom of God. When he says things like, “The Kingdom of God is at hand,” Jesus means something very specific. He means that God’s reign has been opened up to us, that God’s active role in our world is here, and the good life, he offers is meant to be ours right now. Now, if we were to define the “good life” by almost every other measure, it would look like this: good health, a fat wallet, a good job, a nice family, very little challenges in life. Never overworked. Never stressed out. And we know this is true because these are the things that dominate our attention, our time and our money. And so the danger is that we begin to associate God’s blessing and favor with those who have those things and assume that those who don’t have those things are somehow missing out on God’s best. That statement alone should shock us. And if it doesn’t, it should at least give us reason to pause because anything associated with the word “poor” doesn’t tend to conjure up images of blessedness and God’s presence. Admittedly, if most of us weighed the desire to be poor or rich, we wouldn’t think twice. We would choose to be rich because poor is not a virtue in our culture. Poor is not a standard to live up to. In our culture, rich is a word of access. Being rich grants us access to stuff, to opportunities, to a life we think we can control and manipulate, to great doctors and great restaurants and great lifestyles. Being poor doesn’t allow for any of that. But in God’s economy, according to Jesus, mind you, it is the poor who are most accessible to God’s kingdom, because it is the poor above all who stand in need of what God does. We could be talking about finances here, but we’re not. When Jesus talks about being “poor in spirit,” he’s not talking about a financial condition or social situation, he’s talking about a spiritual reality, a state of the soul. One writer calls it “spiritual poverty.” That’s what it means to be poor in spirit. And who are the poor in spirit? All of us. The poor in spirit are not just the poor guys and gals in the valley praying for more miracles. The poor in spirit are also those faithful disciples who have helped bring about some of those miracles. And Jesus isn’t about to let them forget it. This is what makes the Sermon on the Mount so revolutionary. Jesus announces the availability of God’s activity, to a bunch of spiritually destitute people: to The know-it-all Pharisees who are certain that they know exactly how to interpret God’s word, to the fisherman who has no idea what Jesus means to drop his or her net to “catch people,” to the random person in the crowd who can’t tell the difference between Peter and Paul. And this is good news. In fact, this is better than good news; this is great news. Because with this first “beatitude,” this statement of blessing, Jesus announces to the entire world that the Kingdom of God is now open for business for all. To all who are worried that they’ll never have enough faith to please God, the Kingdom of God is for you. To all who think they fully understand God, the modern day Pharisees, the Kingdom of God is for you. To the spiritually puffed up and arrogant, who might be the most spiritually deprived of all, the Kingdom of God is opened to you. To all who aren’t even sure they want to believe, or if there is something to believe, the Kingdom of God has even been opened to you. And to all who can’t believe there are people in this world who don’t believe, the Kingdom is opened up even to you. In his loving way, Jesus means to tell us that, whether we know it or not, we are all a people of spiritual poverty, a people “poor in spirit.” And how can we disagree? When we stand before Jesus, the only one who isn’t poor in spirit, the only one who truly sees with the eyes of God, we find ourselves a bit like Adam and Eve: spiritually naked, our true heart condition revealed. And that’s uncomfortable. No one likes to be naked. No one likes to be found out. But when Jesus is the standard, we just don’t have the resources to convince ourselves that we are better than we actually are. And in most cases, that humility would be enough to take our ball and go home. But this spiritual reality is not enough for God to throw in the towel and keep the good life of the Kingdom to himself. No, in a great reversal of “the way it’s always been done,” the Lord of the Kingdom plunges himself right in the midst of a spiritually diverse and destitute people and says, “I have come that they may have the good life.” And all we can do is receive what God wants to give. 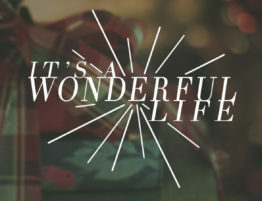 The good life, friends, isn’t about having stuff, working hard, having strong relationships or even enjoying life. I know Solomon said something about that, but Solomon isn’t Jesus. Those things are good, but they aren’t quite what Jesus has in mind by the blessed life. The good life is the confident assurance that even though God peers into the depths of our hearts and rightly diagnoses our spiritual health as “poor,” he embraces us nonetheless and still offers us what only He can give. You could make another argument if you’d like, but THAT is truly the blessed life. So how can you live into that this week? I won’t give you a spiel about trying harder or being more faithful- those things will happen supernaturally as we allow the Holy Spirit to grow us. Rather, your job is to radically believe that God’s Kingdom has been opened up to you, the poor in spirit, and that everything that is God’s Kingdom (the fruit of the Spirit, victory over sin, joyful life) is meant to be yours if you so desire. Amen.